Rotarians are a major force behind ShelterBox’s ability to help more people in need. Below are examples of how a few Rotarians have made a major difference. Get ideas and follow their example! 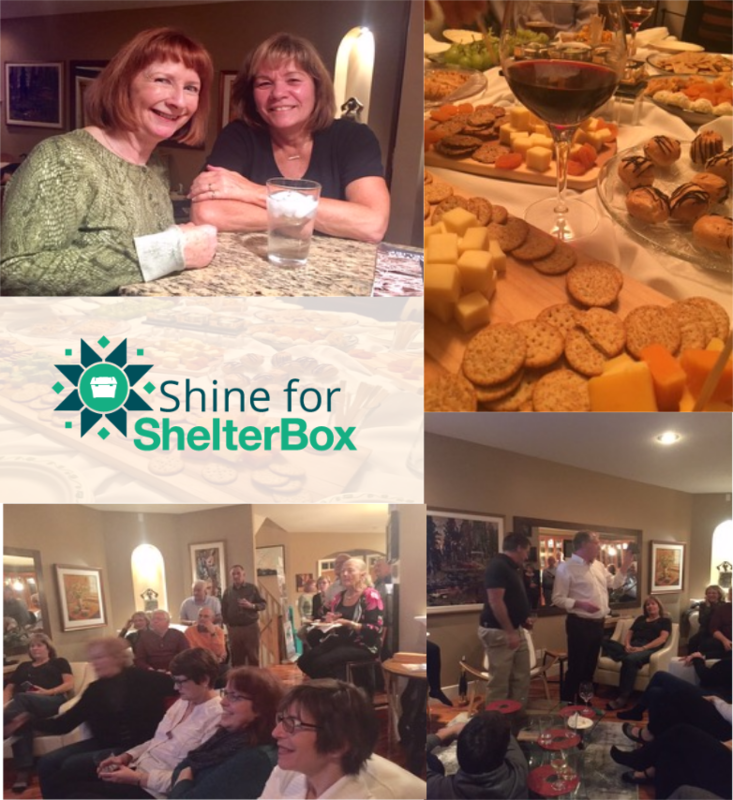 Mike French, a local Rotary member in Calgary, AB hosted a Shine for ShelterBox dinner with his Club to raise funds for ShelterBox Canada. Mike and his wife Maggie invited over members of their Rotary Club, community and friends to a wine and cheese night and raised over $4,000. “We had a lot of fun on our wine and cheese Shine evening. It was a great social for many club members, their partners and friends. Social, Rotary awareness and ‘doing good in the world’ by supporting ShelterBox – What could be better?” – Mike French, The Rotary Club of Calgary West, District 5360 Past District Governor. 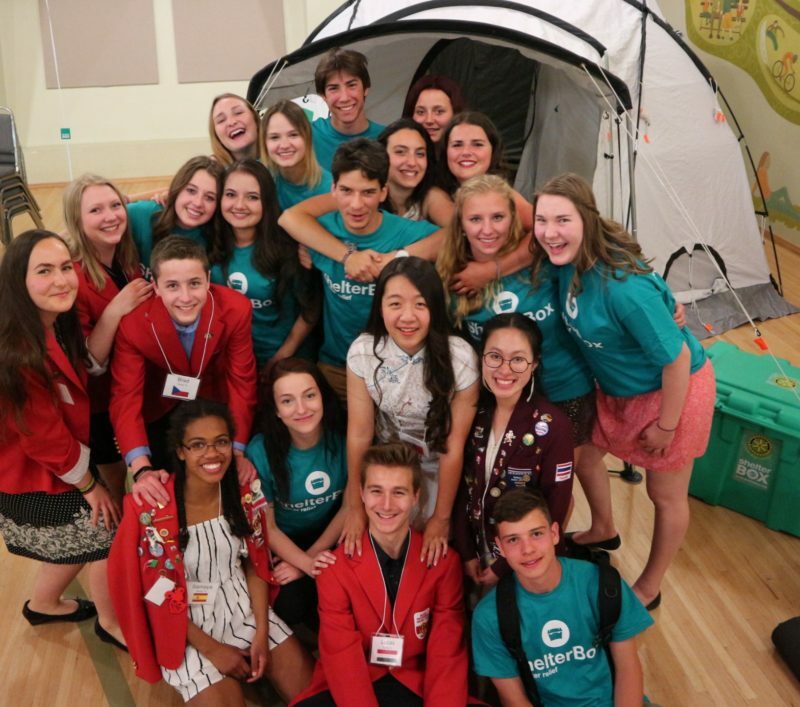 In 2016 the Youth Exchange Students in District 5360 held a dinner where they raised over $27,000 for ShelterBox Canada in one evening! The students host a dinner each year where they invite local community members and Rotarians to eat meals from their home countries and learn about ShelterBox and our partnership with Rotary. After Cyclone Idai struck Mozambique, Zimbabwe, Madagascar and Malawi, District 7070 in Ontario wanted to rally support and make a difference. 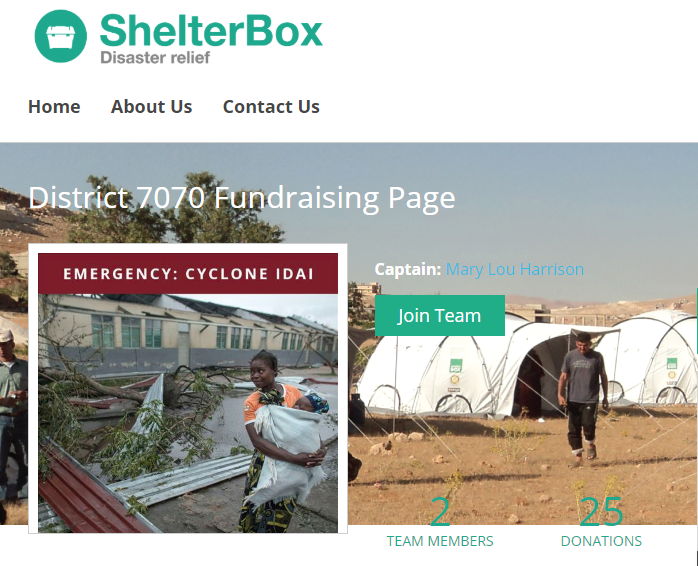 District Governor Mary Lou Harrison set up a District Fundraising page with ShelterBox Canada to bring together the Rotarians, Rotary Clubs and communities in her district who wanted to donate in response to the cyclone. Through promotion in the monthly newsletter, email and social media the District raised over $9,000 in their first week! Fundraising pages are an easy way for individual Rotarians, Clubs or Districts to raise funds online, set a goal and track their impact. Want your activity to be featured to inspire others?